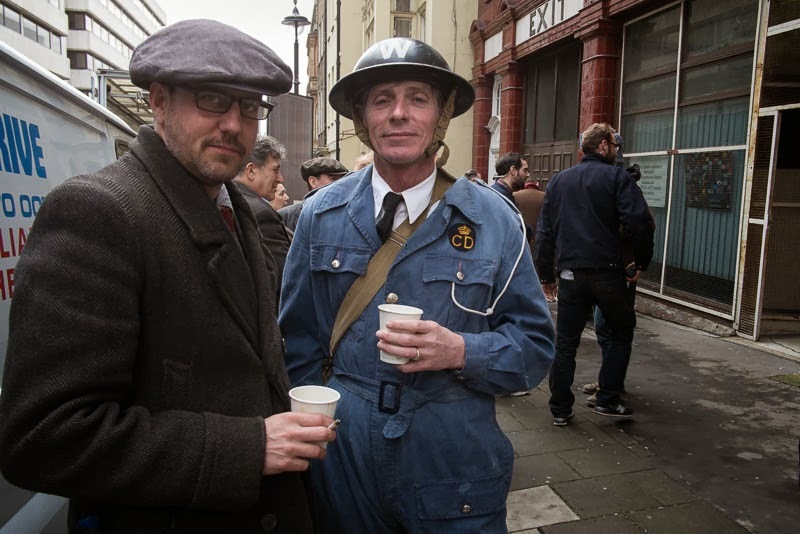 Dressed from a bygone era - outside a closed tube station - what is this all about? In London it generally means a film is being made, and this was no exception. What is the film? I know you are as curious as me. Woman in Black 2, angel of death - is the answer. The film will be released in 2015. Here is a clip. Ooooh, a sequel! Guess I should watch the first one, huh? It is always exciting to see a movieset in te streets, but I don't think I will watch this movie, to creepy for me. I wonder how much an extra gets paid. Nice shot! Holy smokes, that looks like it will be a bit on the scary side. Hm, just wondering what that uniform actually is, too. I'm surprised they'd make a sequel. Mind you, the first one was quite creepy to begin with! Did you get to be an extra, too? You seem to know a bit about this movie . . .